Rome is hot in the summer and I didn’t think I’d ever willingly choose to pay it a visit at the end of July. 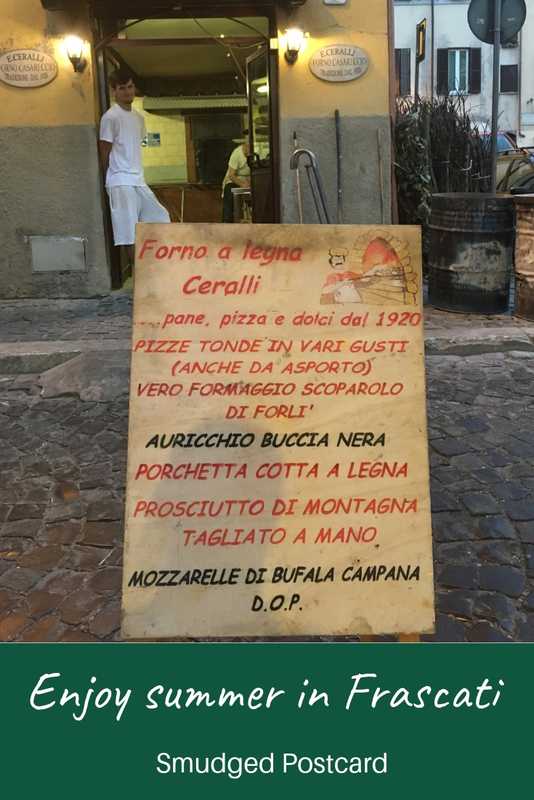 However, flight prices to our chosen summer holiday destination of Le Marche were sky-high so we ended up flying to Rome (much cheaper) and taking the three hour scenic route to the east coast. On our way back, we spent three nights in Frascati so we could have a quick day trip to Rome and also catch up with some friends who live there. 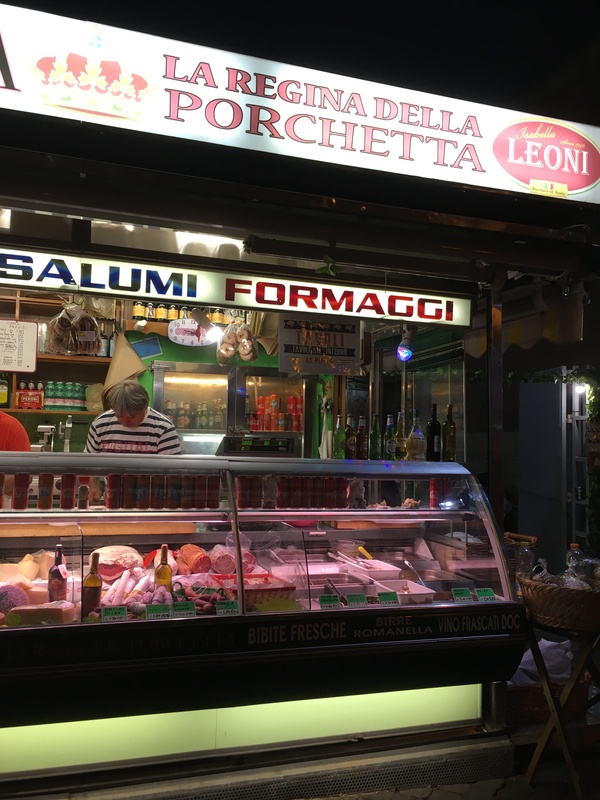 I knew Frascati was a wine growing region but what I hadn’t realised is that the town is a magnet for Romans who nip over for a weekend, day or even just an evening to indulge in the town’s gastronomic delights. 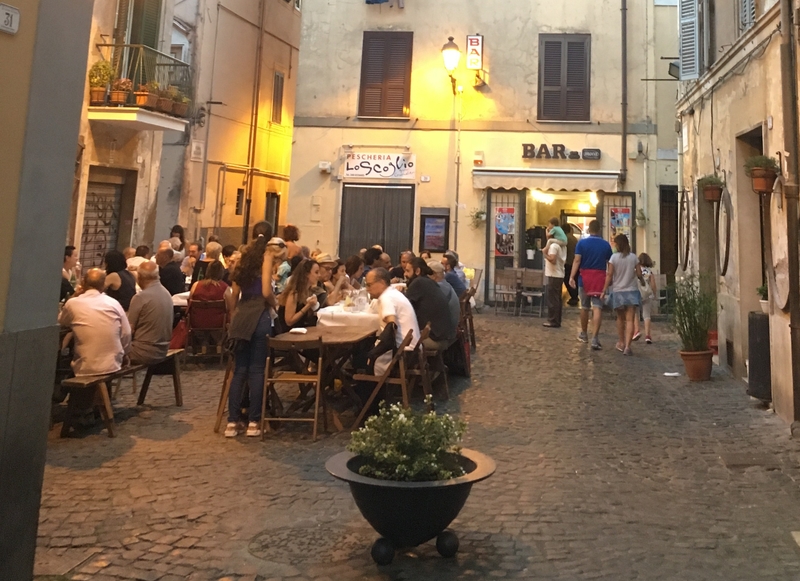 In Frascati, once the sun sets (which it does in quite magnificent fashion), unassuming street corners are transformed into eateries and diners flock in. This is BYO (bring your own) territory with a difference: some places serve just food while others, the cantine (wine cellars), serve just wine so you’re welcome to bring your own drinks or your own dinner. Lots of people were buying food from one of the many porchetta stalls where all manner of piggy products were on sale (pork is a regional speciality here). We saw others feasting on takeaway pizza, all washed down with litres of Frascati white wine. 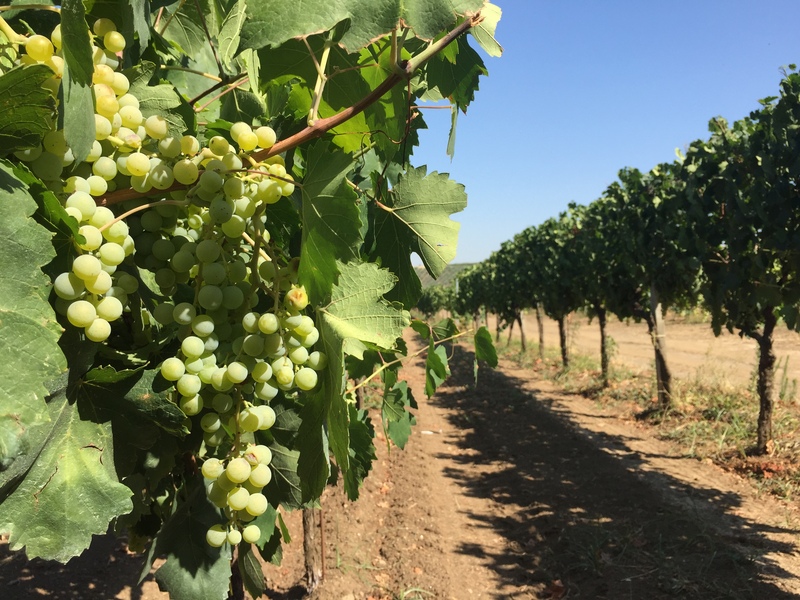 Vineyards in Frascati produce predominantly white wine although red can also be found there. It’s not the most sophisticated tipple but it’s refreshing and undemanding on a warm summer’s evening. Frascati is the perfect place to experience that age old Italian tradition, the passeggiata. Even with sleepy children in tow, we enjoyed wandering the vibrant streets and watching others do the same. 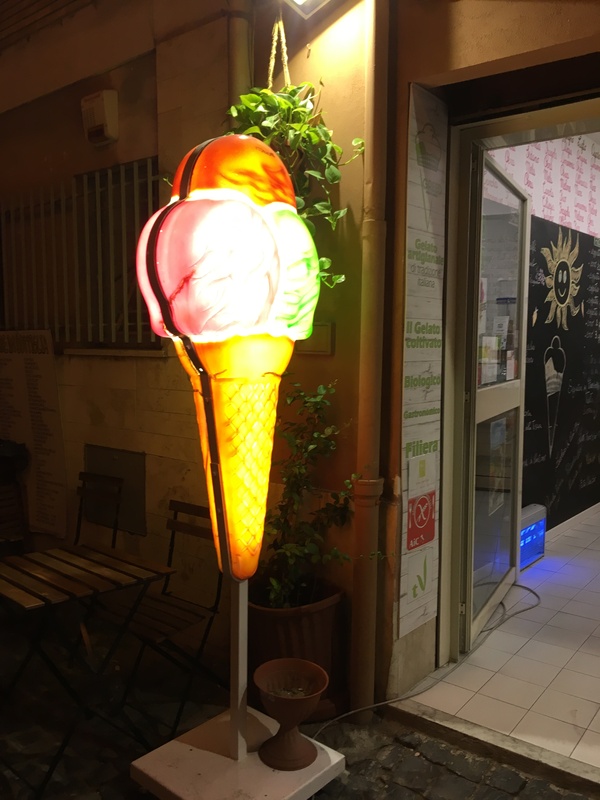 The many gelaterie were very useful for keeping the kids going, ice cream is like a fuel. I can’t wait to return when our boys are a bit older so we can fully immerse ourselves in this wine and piggy heaven. 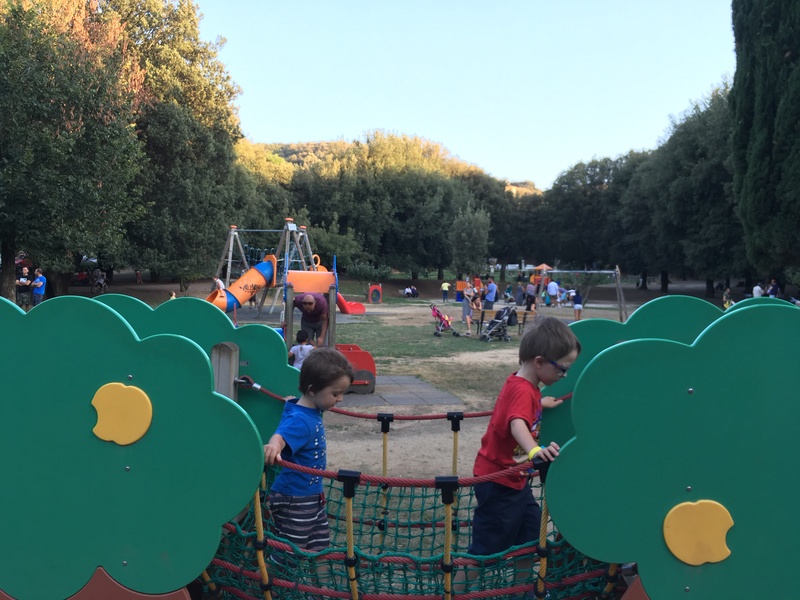 There’s a brilliant playground in town for kids, a great diversion if your children are struggling with staying up late for dinner and parking is pretty straight forward if you’re not staying in the centre of Frascati. There is a good variety of hotels, agriturismos and B&Bs in and around Frascati depending on what facilities you need. We stayed in an apartment at Pietra Porzia, 10 minutes drive from the town centre. Some of the hotels offer a complimentary transfer to Frascati’s railway station for day trips into Rome. Frascati is a scenic 30 minute train journey from Rome’s Termini station and it’s a popular day trip from the Eternal City. 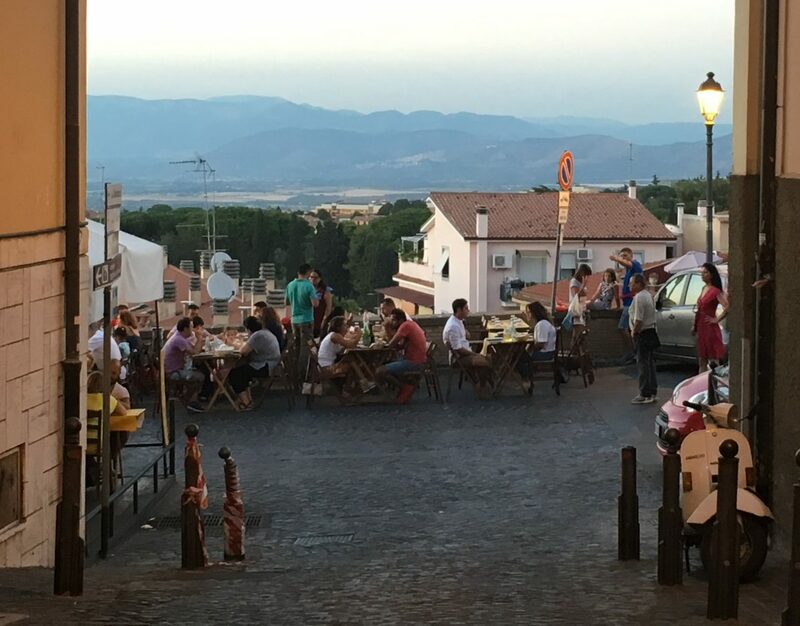 Wine aside, the town is a great base for excursions into the wider area known as the Castelli Romani, a collection of towns situated on hills of volcanic origins. There are castles, museums and affluent villas including the former summer residence of the Pope at Castel Gandolfo. 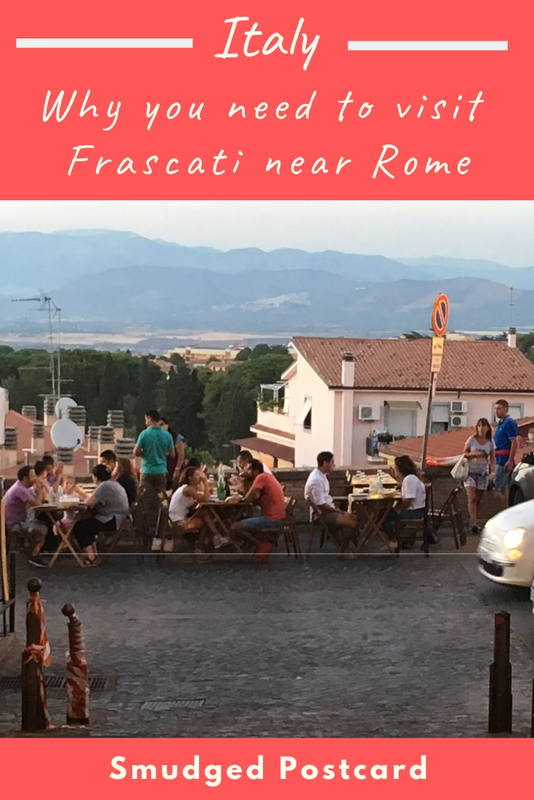 The main attraction for us initially was Frascati’s elevated location making it noticeably cooler, especially in the evenings. And by staying outside Rome we could afford reasonably priced, family-friendly accommodation with the luxury of a swimming pool. Frascati is also just a 20 minute drive from Rome’s Ciampino airport and 45 minutes from Fiumicino (the main airport). 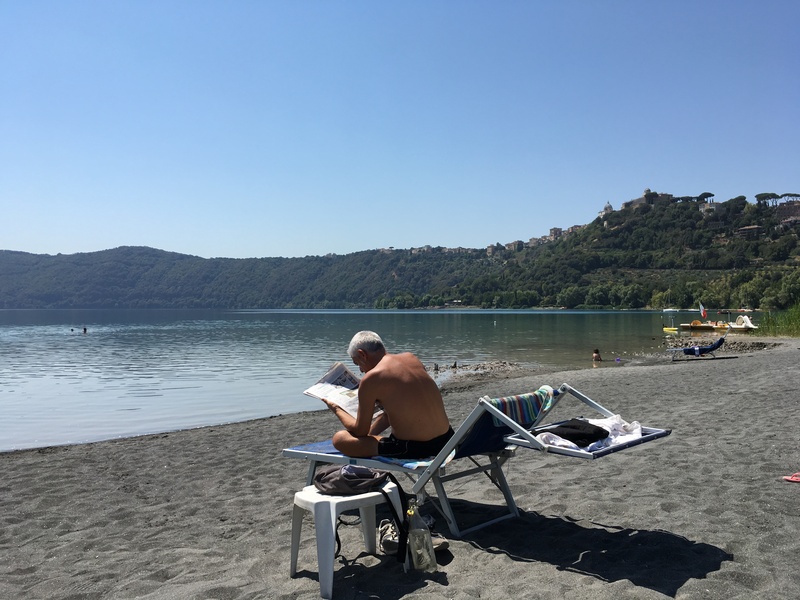 Lake Albano: where better to read the morning news? 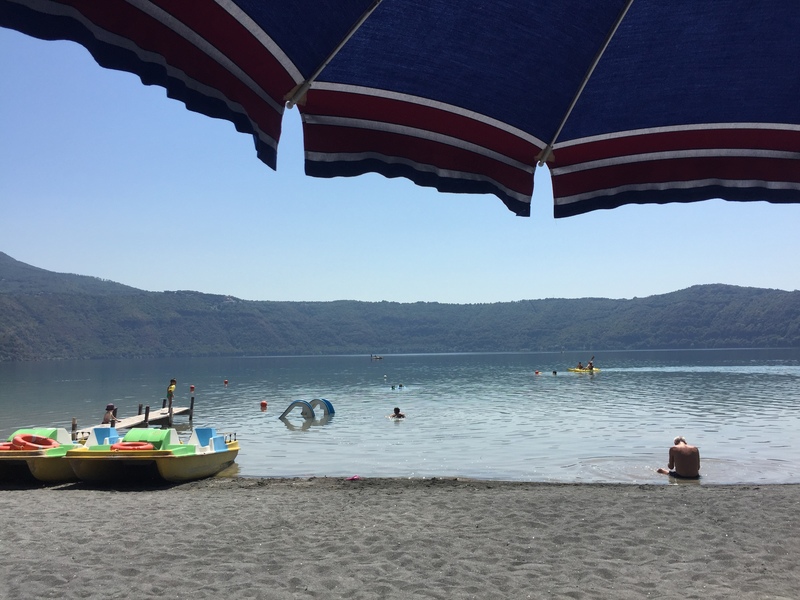 On our final day in Frascati it was 40 degrees so we eschewed the many cultural diversions on offer and instead drove twenty minutes south to the serene Lake Albano, ringed by green hills and overlooked by Castel Gandolfo. 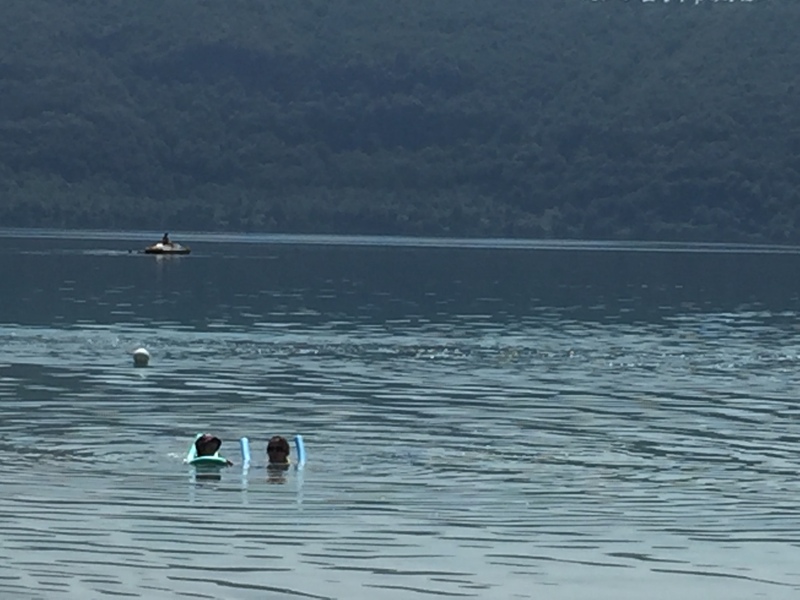 A volcanic crater lake, Albano is muddy around the edges but clear, deep and blue in the centre (which we reached with help from a pedalo). 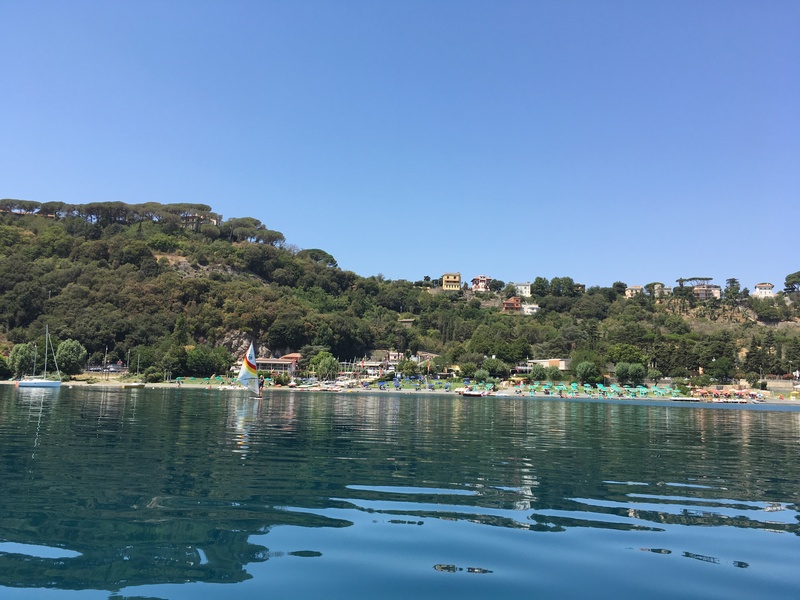 Lake Albano is perfect for a day of relaxing: there are beach clubs just as you’d find at an Italian coastal resort plus plenty of bars and restaurants including the kitsch and cavernous La Perla where we enjoyed a quick lunch before heading to Ciampino airport. Our children played on slides and had fun in the mud with some of the local kids. 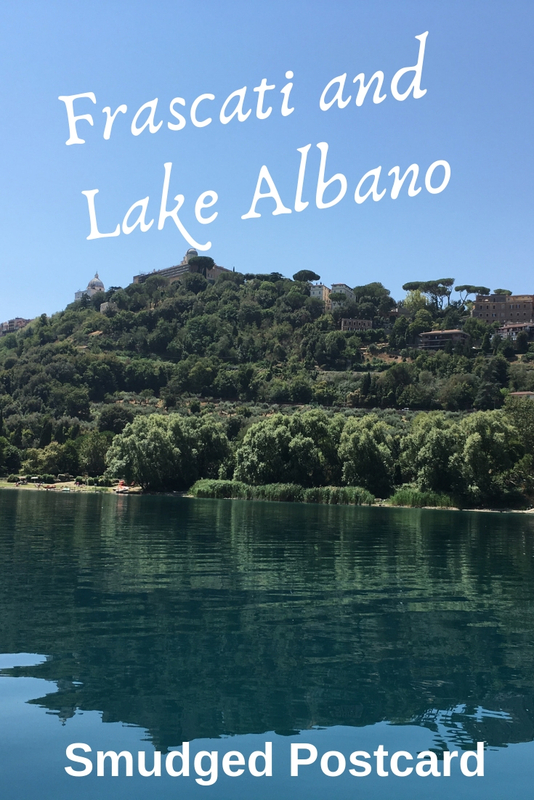 The waters of Lake Albano are surprisingly warm and incredibly refreshing and if you gaze at the surrounding landscape you could almost imagine you’re swimming in an Austrian alpine lake rather than on the outskirts of a smoggy city. 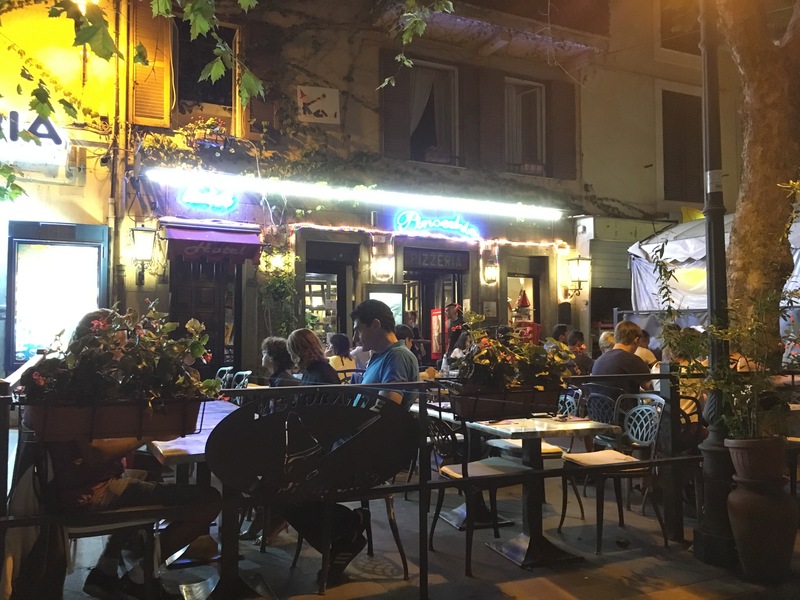 So, if you’re planning to visit Rome in the summer months and fancy a cool and vibrant retreat at the end of the day, Frascati is worth considering. 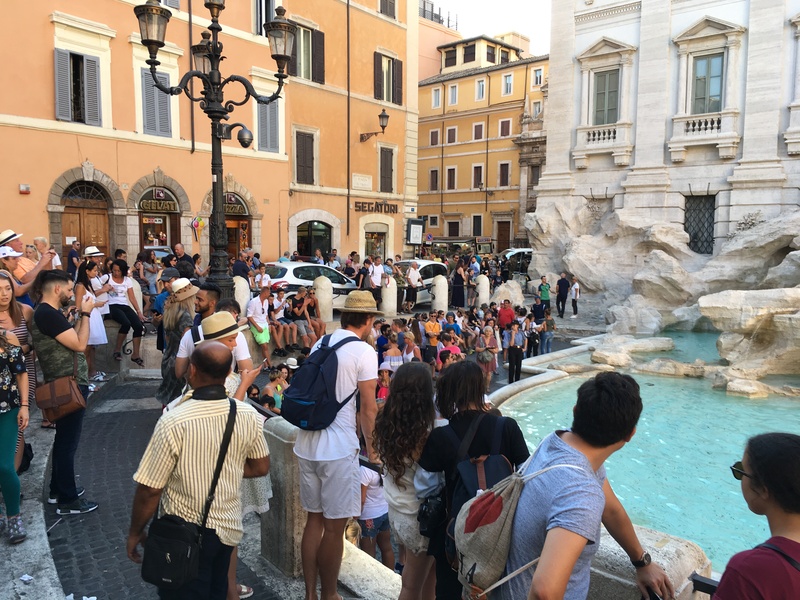 Read about what we got up to on our trip to Rome. Yes, it was great to discover how much there was to see on Rome’s doorstep! Yes, it was great to people watch, I’ll definitely be going back! That does sound like an entertaining alternative to staying in Rome proper. The dining options sound about perfect to me too. How perfect, I also feel very silly as I have never thought of Afra’s cat I being a place before! what a lovely place!! I will save it for the next time we go to Italy. What an absolutely splendid idea! That place looks far more relaxed than Rome could ever be in the middle of summer and hotel prices must’ve been a little lower too. 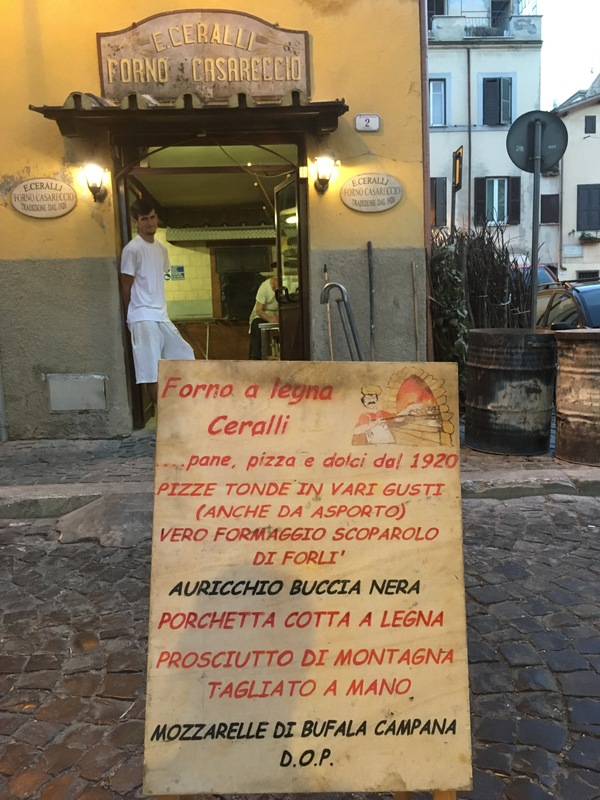 What a great alternative to staying in the city centre of Rome. 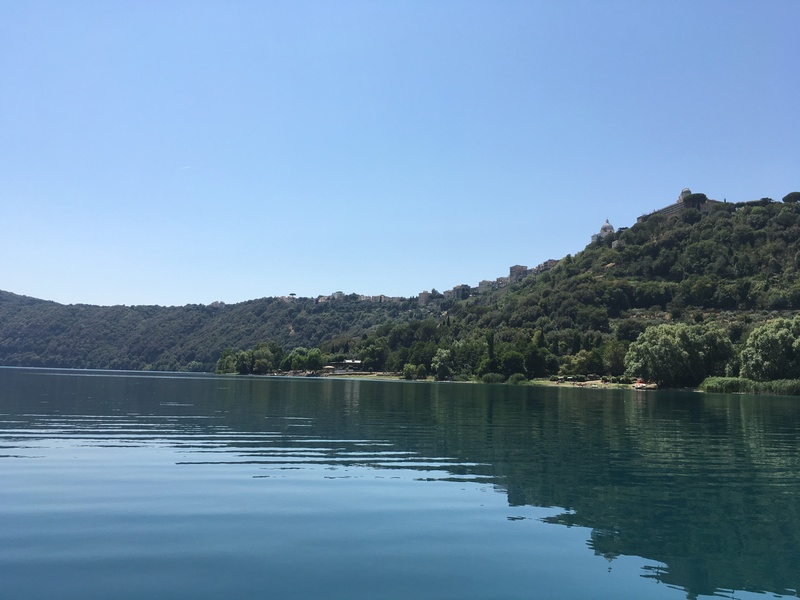 With only a 30 minute train ride you can take a couple of day trip to explore the eternal city yet enjoy the laid-back atmosphere of holidaying on the lake. Ooooh thank you for introducing me to this lovely town! SO many awesome reasons to visit from the food to the history! 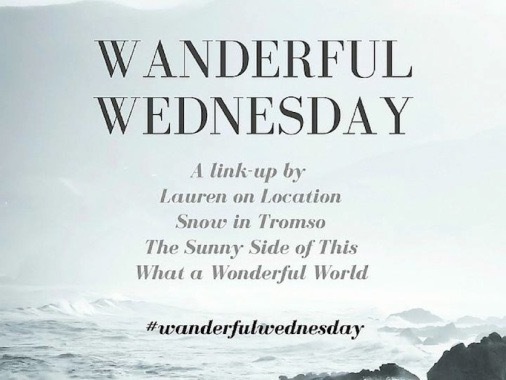 Thanks for sharing on #TheWeeklyPostcard! Hope you can visit it some time! Definitely way too hot and crowded for me but I’d love to visit Rome one day and could imagine Frascati to be really lovely in the off-season as well! We do love being in the hustle and bustle of Rome, but Frascati looks fantastic! Definitely adding this charming town to our Italain “to do” list. Thanks for putting it on our radar, and for sharing on #TheWeeklyPostcard. Well, Rome and Frascati are definitely a good place to start! Smaller places are certainly easier to navigate with kids! Frascati sound lovely in the summer. As you know, we are heading to Rome this easter, now looks like Frascati will be our destination for one of our summer too! I really like the outdoor cafe and it would be so nice to visit the wine yard too. 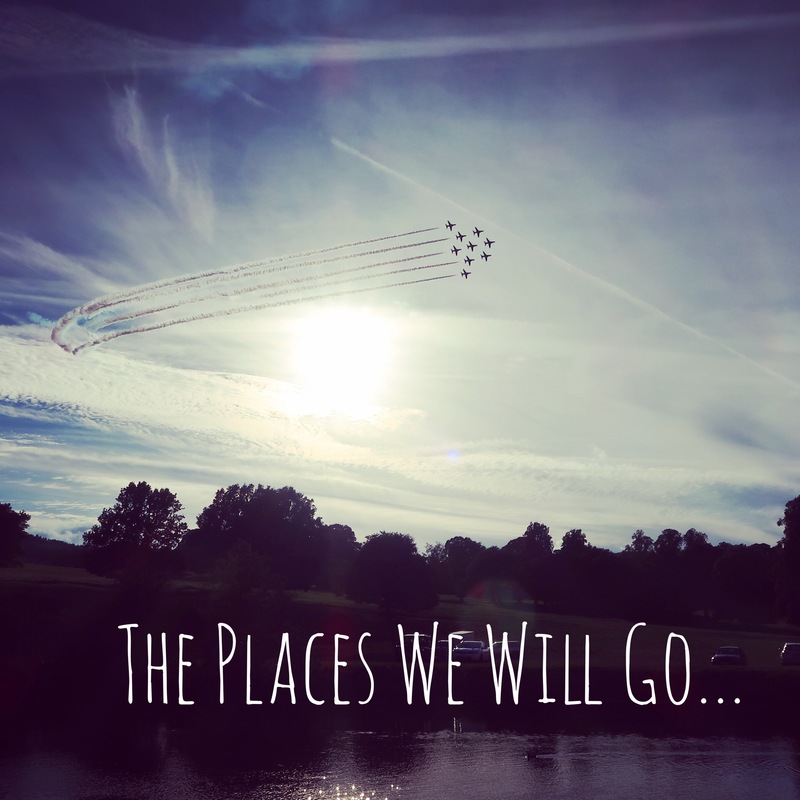 It’s such a great place to go in the evening, we’ll definitely be going back!